You were all so amazing! We were blown away with how much talent you all have. We particularly loved the supportive and encouraging atmosphere that you created throughout the auditions and call backs. Thank you to students and parents for your time, energy and patience. A special thank you goes to all Alumni who auditioned as potential understudies, you are all greatly appreciated! Lastly, to the team who help in all areas of auditions and casting this show: what a mammoth effort. Well Done! When you read the following, please look through the castings. If you have been listed as ‘Ensemble’, please don’t think you’ve missed out; we have a nineteen-page document that explains the full casting for everyone, but especially the ensemble. Many of you will have featured roles and some of you have solo lines, but due to the size of the casting we are not posting it here. Instead, we will be going over all entire casting tomorrow at our first rehearsal at 4pm. It will all be clearly explained then. See you then. Well done to all of you!! 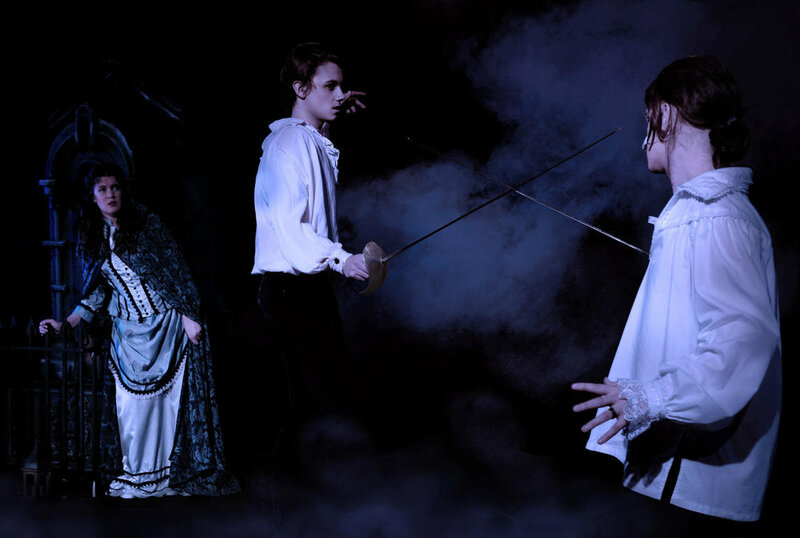 Reminder: Tickets for Les Misérables are on sale now! Just Click Here to book your seats today! Nexus BYT brings one of the world’s most loved musicals to Bendigo in this classic story of a young and spirited nun who transforms the lives of a family of seven children bereft of a mother. Kind, honest and generous, she wins the heart of the children’s autocratic father by teaching the children to sing. Set in Austria in the early days of the Second World War, the family are forced to escape the Nazis by climbing the Alps on foot. Based on the true story of the von Trapp Family Singers, this show is filled with familiar, heart-warming songs like ‘Edelweiss’, ‘My Favourite Things’ and ‘Climb Every Mountain’. 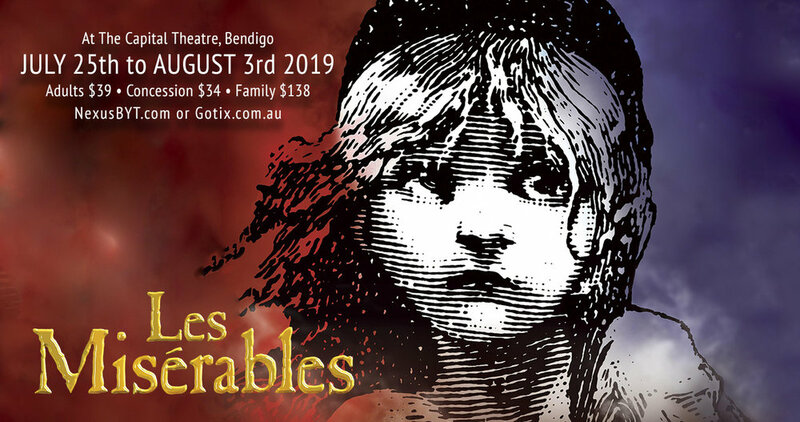 Treat your entire family to one of the most hopeful and enduring stories ever brought to the stage in this classic show, performed in Bendigo’s beautiful Capital Theatre. CONGRATULATIONS! You were all so amazing! We were blown away with how much talent you all have. We particularly loved the supportive and encouraging atmosphere that you created throughout the auditions. It was so ‘Nexonian’, it really is going to be a great year! When you read the following please look through all the castings, as your name might appear under more than one section. If you don’t know who your character is; don’t worry it will make more sense soon. Bring your questions along to our first Rehearsal Tomorrow at 4pm. It will all be clearly explained then. Also a quick reminder: please turn in the last of your forms if you haven't already. See you then. Well done to the entire cast at Auditions! It is exciting that this year all students who auditioned will be in our Nexus BYT 2018 Sound of Music Cast. We are proud of all of you and so excited about the talent amongst the singers, actors, and dancers! We are looking forward to announcing the full cast on Sunday, March 4th. Please make sure that you ALL check the cast next Sunday. Please note that there are still singing, speaking and dancing rolls that are not required for callbacks. They will be announced next Sunday based on your auditions from Friday and Saturday. Below are the students we would like to CALL Back and the roles they will be reading/singing/dancing for. Please read the entire list that follows carefully as your name might appear in multiple places. o Please note: Leaders must begin processing callbacks at 7:15. As a result, it would be wonderful if cast remembers could be collected at 7:00. Thanks for understanding. *If after reading the call backs list, you would rather not continue with call backs or being involved in The Sound of Music 2018, can you please contact us on info@nexusbyt.com so we can make adjustments needed to accommodate everyone in the Call Back process. We understand some of you have other commitments and may choose to prioritise in 2018. As the Phantom cast shift into The Capital, we have received some amazing best wishes from around the world check out the full article here.